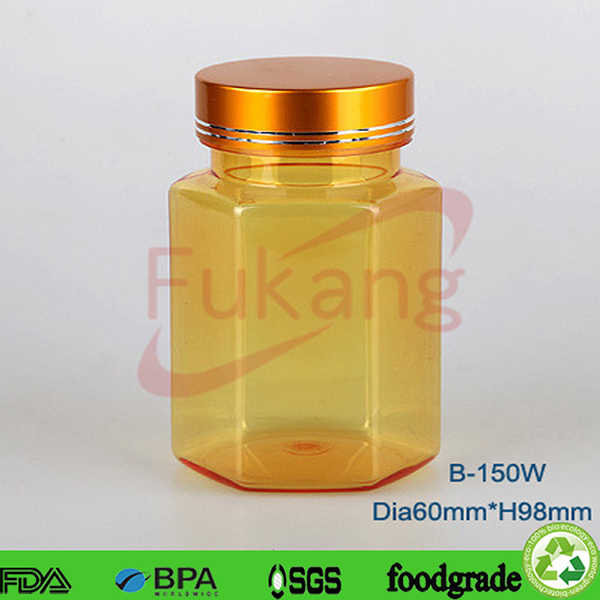 150cc Hexagonal Yellow PET Medicine Bottle,Yellow Hexagonal Plastic Pill Bottle With Golden Aluminum Screw Lid_Dongguan Fu Kang Plastic Products Co., Ltd. 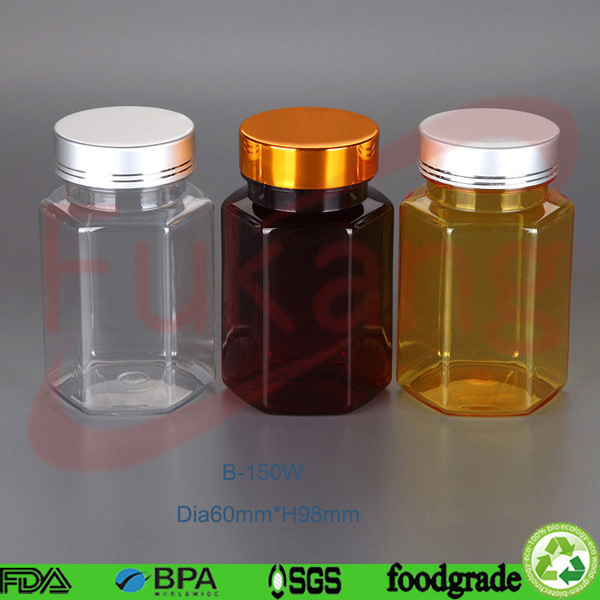 Plastic bottle application Use for containing health food,capsule,medical etc. to us, we can do as per your specific requests. screen printing , embossing, UV coating, sticker or shrink film. (4). 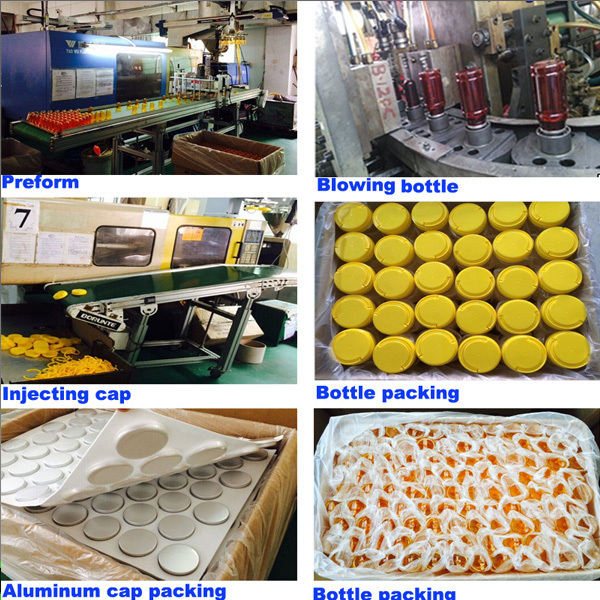 Free sample: We can supply free bottles for you to test quality. (1).Are you a manufacturer or a trading company? 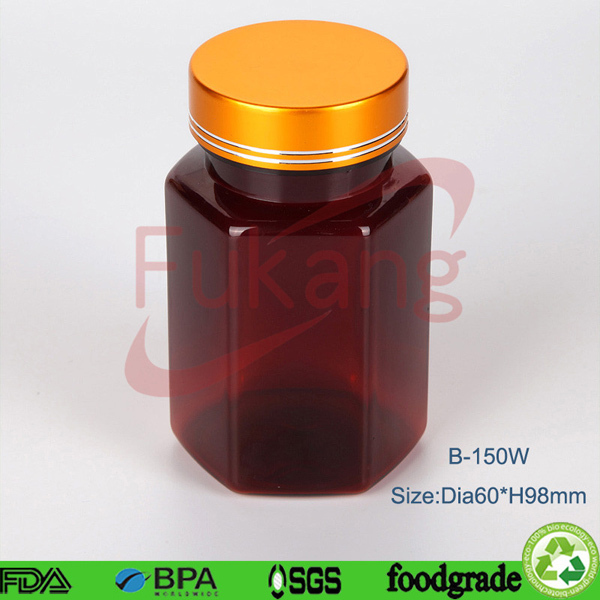 plastic food jars and PET spray bottles with more than 15 years production experience. 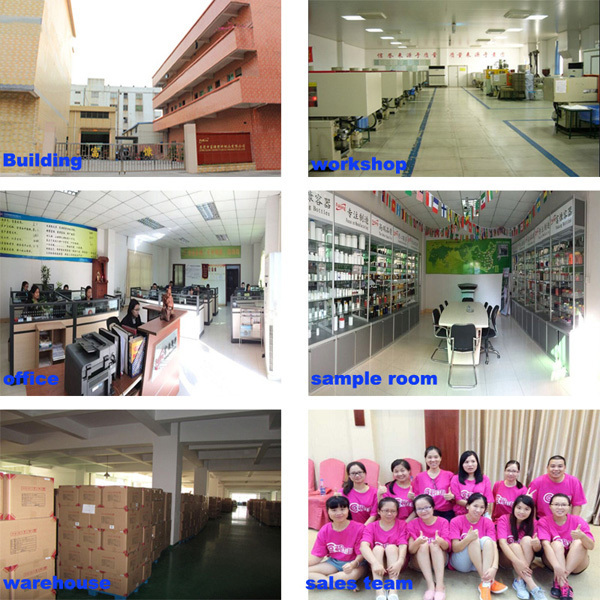 Our factory is located in Dongguan City, Guangdong Province, China. (2). How can I get some samples? be deducted once orders are released. (3). What is the normal lead time? B. 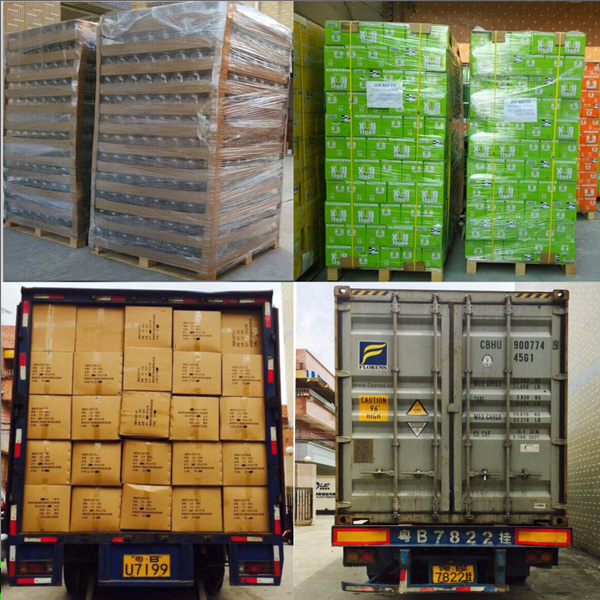 For mass production, the delivery time is 7-10 days after receive your deposit. 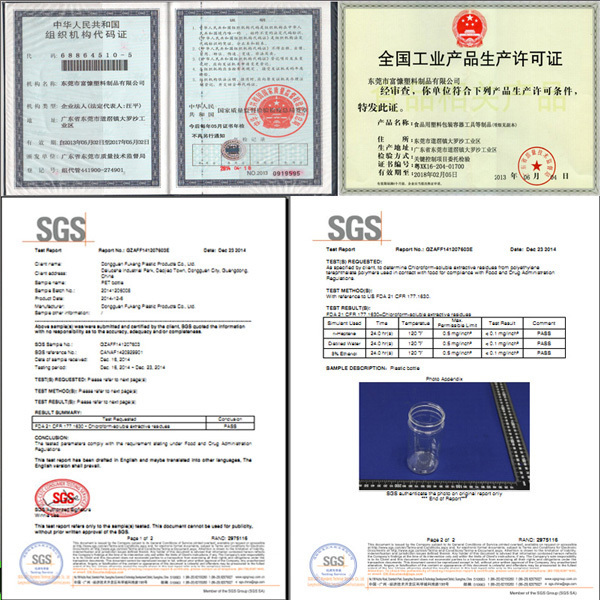 IF YOU LIKE OUR PRODUCTS, PLEASE DON'T HESITATE TO CONTACT US. WE WILL GIVE YOU THE BEST SERVICE AND BRING BENEFITS TO YOU. We specilized in producing and exporting various of containers. If you have some quality problems our products,please fill out this form and click the right button to tell us! 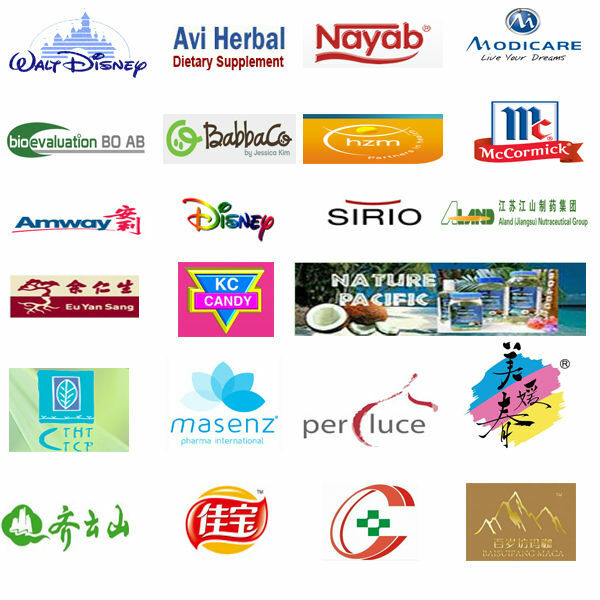 ADD：Daluosha Industrial Park, Daojiao Town, Dongguan City, Guangdong Province, 523186, China.